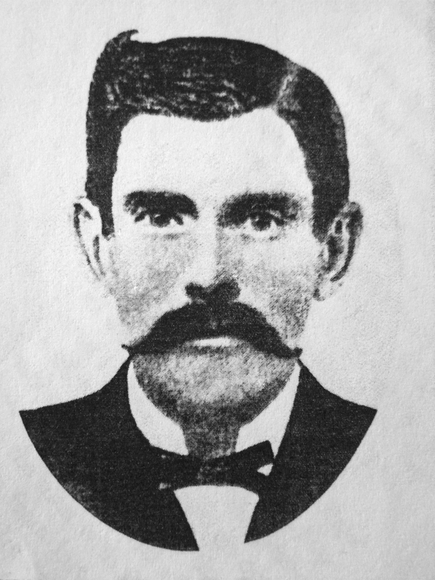 Doc Holliday was born in Griffin, Georgia in 1851. His nickname of “Doc” came from his dentistry practice. In those days unhealthy teeth were extracted or pulled. He left Griffin after killing 3 African-Americans who were swimming in his swimming hole. At the time the authorities refused to prosecute him for the murders. He met Wyatt Earp and Katherine Elder in Fort Griffin, Texas. Katherine was his constant companion and a career prostitute. Doc made more money during his life from playing poker than working as a dentist. He was a heavy drinker who had a chronic cough which was the result of contacting tuberculosis at an early age. One day Doc was playing cards when he had a falling out with one of the players. When the player reached for a gun Doc stabbed him with a knife. The sheriff arrested Doc and charged him with murder. Shortly afterward Katherine set fire to a barn and in the commotion she helped Doc escaped. Soon after they fled to Dodge City, they met up with their friend Wyatt Earp. One night a group of 25 trail hands came into Dodge City with the expressed interest of killing Wyatt Earp. It didn't take long before they had Wyatt cornered in front of the Long Branch Saloon. Then just as it looked like they were going to kill Wyatt, Doc Holliday suddenly appeared from behind the saloon doors armed with a shotgun. The trail hands spent the night in jail. Wyatt Earp was born in Monmouth, Illinois on March 19, 1848. When they were young men Wyatt and his brother's earned the nickname, “The Fighting Earps.” In 1871, Wyatt was arrested for stealing horses. After posting bond he fled and eventually ended up in Wichita, Kansas, which at the time was an anything goes type of town. In Wichita, Wyatt saw many opportunities for making money so he sent for his brothers Jim and Morgan. Before long the brothers had several girls working in the local brothels. Not long afterward, Wyatt joined the Wichita police force as a policeman, earning $60 a month. The bothers next moved to Dodge City. In Dodge, Wyatt and Morgan both became police officers. There the brothers and Doc Holiday became heavily involved in gambling. While in Dodge, Wyatt became friends with the legendary Bat Masterson. Then one day the Earps heard about a big silver strike in Tombstone, Arizona. Wyatt quickly talked his brothers Jim, Morgan, and Virgil into joining him there. Doc would next follow them to Tombstone. At this time the most powerful group of men in Tombstone were the “Cowboys.” The Cowboys were led by Old Man Clanton. The Cowboys robbed wagon trains and stole herds of cattle. Not long after the Earps arrived, the city marshal mysteriously disappeared and Virgil became marshal. Virgil then appointed Doc Holiday and his brothers as deputies. At this time, the Earp’s leveled charges against Ike Clanton and his Cowboys, and the Cowboys leveled counter charges against the Earps. Both sides were up to no good. Soon afterward word reached the Earps that Ike and Billy Clanton, Frank and Tom McLowery and Billy Claiborne were looking to settle things in a vacant lot behind the OK Corral. Wyatt claimed that Billy and Ike drew first. Billy Clanton shot Virgil in the right leg, and Morgan in the neck. Doc Holiday killed Tom McLowery with a shotgun blast. Billy lasted about 30 seconds before he was gunned down. Ike Clanton and the McLowery brothers survived. The town's citizens ran the Earps out of town because they believed that the Earps had gunned down the Cowboys in order to eliminated their competition.